Academic Staff Yang, George Y.
Zhaoyang Gu, Zengquan Li, George Y. Yang, Guangqing Li (2019), “Friends in Need Are Friends Indeed: An Analysis of Social Ties Between Financial Analysts and Mutual Fund Managers,” The Accounting Review, forthcoming. Ying Cao, L. Myers, A. Tsang, George Y. Yang (2016), “Management Forecasts and the Cost of Equity Capital: International Evidence,” Review of Accounting Studies. D. Dhaliwal, Z. Li, Albert Tsang, and George Y. Yang (2014), “Corporate Social Responsibility Disclosure and the Cost of Equity Capital: The Roles of Stakeholder Orientation and Financial Transparency,” The Journal of Accounting and Public Policy, 33, 328-355. 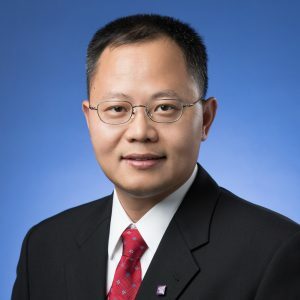 Joseph P. H. Fan, F. Guan, Z. Li, and George Y. Yang (2014), “Relationship Networks and Earnings Informativeness: Evidence from Corruption Cases,” Journal of Business Finance and Accounting, 41(7-8), 831-866. P. Hostak, T. Lys, and George Y. Yang (2013), “An Examination of the Impact of the Sarbanes-Oxley Act on the Attractiveness of U.S. Capital Markets for Foreign Firms,” The Review of Accounting Studies, 18(2), 522-559. Zhaoyang Gu, Z. Li, and George Y. Yang (2013), “Monitors or Predators: The Influence of Institutional Investors on Sell-side Analysts,” The Accounting Review, 88(1), 137-169. D. Dhaliwal, Oliver Zhen Li, Albert Tsang, and George Y. Yang (2011), “Voluntary Nonfinancial Disclosure and the Cost of Equity Capital: The Initiation of Corporate Social Responsibility Reporting,” The Accounting Review, 86(1), 59-100.